While Disney’s Moana will be a musical animated film, we have not heard any song from the trailers. Until now, that is. Dwayne Johnson, also known as The Rock, sings in this new clip from Moana as Maui, a demi-god. The song he sang in this clip is “You’re Welcome”, written by Lin-Manuel Miranda who wrote and composed the Broadway sensation Hamilton. Moana introduces a spirited teenager who sails out on a daring mission to fulfill her ancestors' unfinished quest. She meets the once-mighty demi-god Maui, and together, they traverse the open ocean on an action-packed voyage. Based on the previous trailers, this scene seems to occur right after Moana first met Maui. 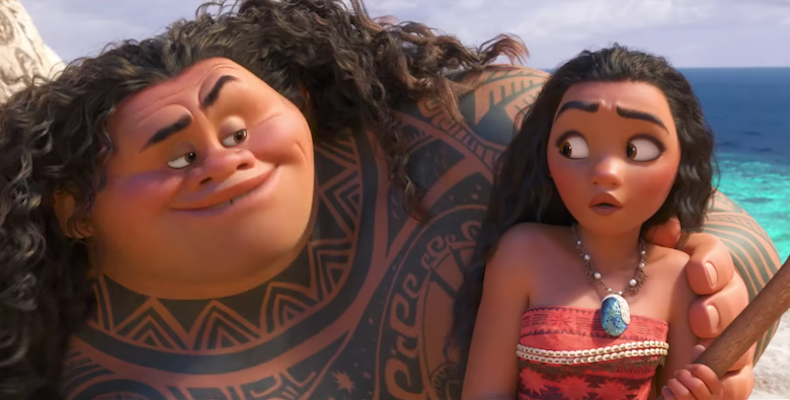 The song does appear to be an introduction song for Maui, boasting about his grand achievements to Moana through his dancing tattoos. We have not heard Moana sing yet. However, fans in Singapore would be able to meet Auli’i Cravalho, the voice of Moana this November, who will be here for a Festive Light-up Event together with the producer, lighting artist, and visual development artist of the film. Do you like this song? Has Dwayne Johnson met your expectations? Share with us in the comments. Disney’s Moana opens in theatres 24 November 2016.